Home Tags Posts tagged with "fishing boats"
Spanish fishermen will protest near the spot where Gibraltar’s government has placed 70 concrete blocks, in the disputed waters near the British territory. While Gibraltar says it has created an artificial reef, the fishermen say it restricts their right to fish. The row has led to tensions between the UK, Gibraltar and Spain, which has imposed tougher checks at the border. Madrid says the checks are needed to tackle tobacco smuggling. But the UK has accused Spain of breaking EU free movement rules. Lengthy delays at the border have been reported on several occasions in recent weeks. Dozens of Spanish fishing boats are expected to sail from the “Campo de Gibraltar” – the area in southern Spain just over the border from the British territory. 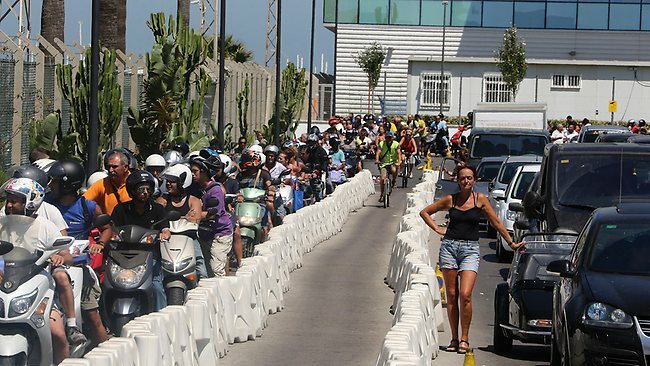 They plan to protest in the spot where Gibraltar dropped the concrete blocks into the sea off its coast, with the aim of creating an artificial reef and encouraging sea-life to flourish. 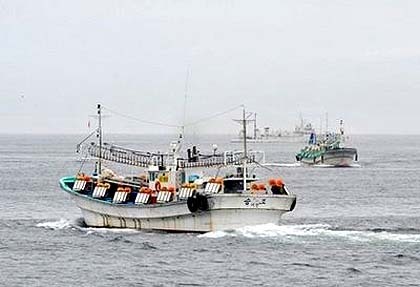 The Spanish government has accused Gibraltar of laying the blocks “without the necessary authorization” in “waters that are not theirs”, contravening environmental laws and damaging Spain’s fishing industry. Madrid responded by increasing border controls and announcing it was considering a 50 euro fee to cross its border with Gibraltar. Meanwhile, a Downing Street spokesman said on Friday that British PM David Cameron had called EU Commission President Jose Manuel Barroso to raise “serious concerns” that Spain’s extra border checks were politically motivated and “disproportionate” – and broke EU rules on freedom of movement. The UK wanted to resolve the row through “political dialogue”, the spokesman added. But as the checks continued, the UK was “collating evidence on the sporadic nature of these measures which would prove that they are illegitimate”, said the spokesman. He said the prime minister had urged President Jose Manuel Barroso to “send an EU monitoring team to the Gibraltar-Spain border urgently to gather evidence of the checks that are being carried out”. A European Commission spokesman said Jose Manuel Barroso had told David Cameron the situation was being monitored to “ensure respect for EU law”. Royal Navy warship HMS Westminster, which left Portsmouth last weekend, is due to arrive in Gibraltar on Monday in a visit described by the Ministry of Defence as “long-planned” as part of “a range of regular and routine deployments”.